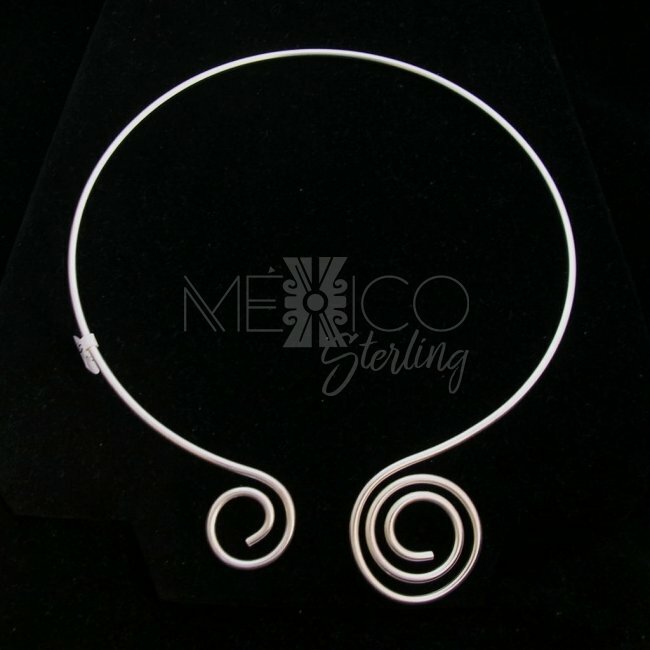 Mexican Silver Plated Choker with Swirls [SPJ2469] - $17.00 : Mexico Sterling Silver Jewelry, Proundly from Mexico to the world. 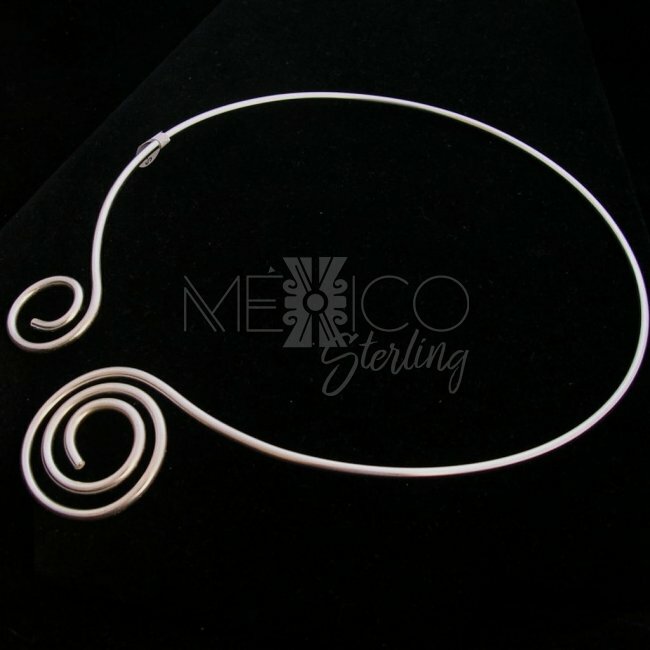 Dimensions: Inside Circumference : 18"
This is a very ethnic design that shows a simple yet powerful to the eye plated choker. 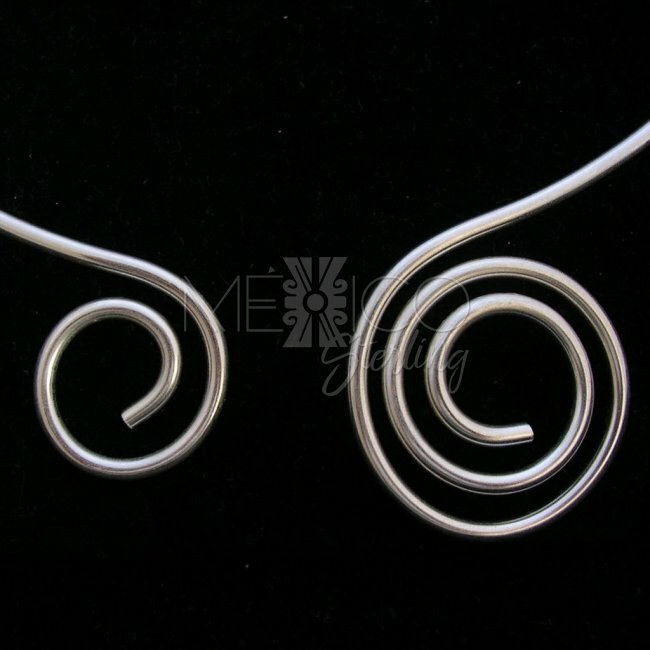 The whole ornament on this silver plated piece is found at the ends of the choker where the swirls give a final and charming touch to the whole composition. 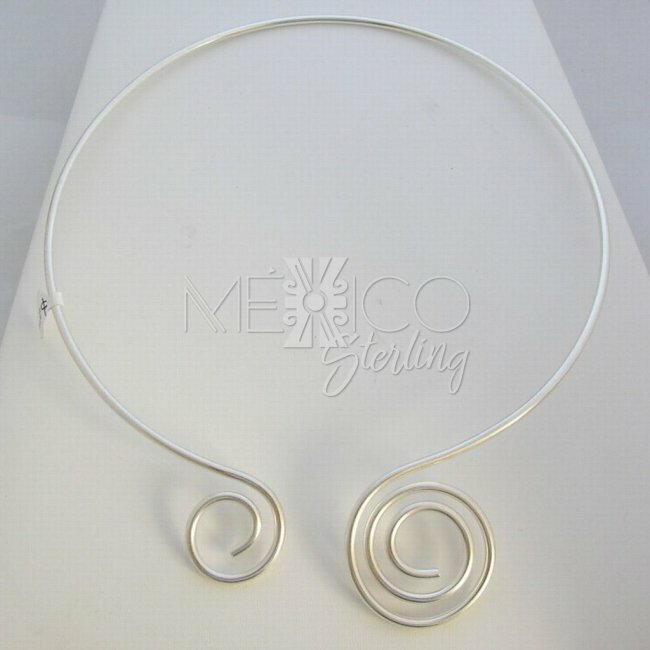 This Taxco plated choker also was completely handmade, just like most of my jewelry, with excellent workmanship. 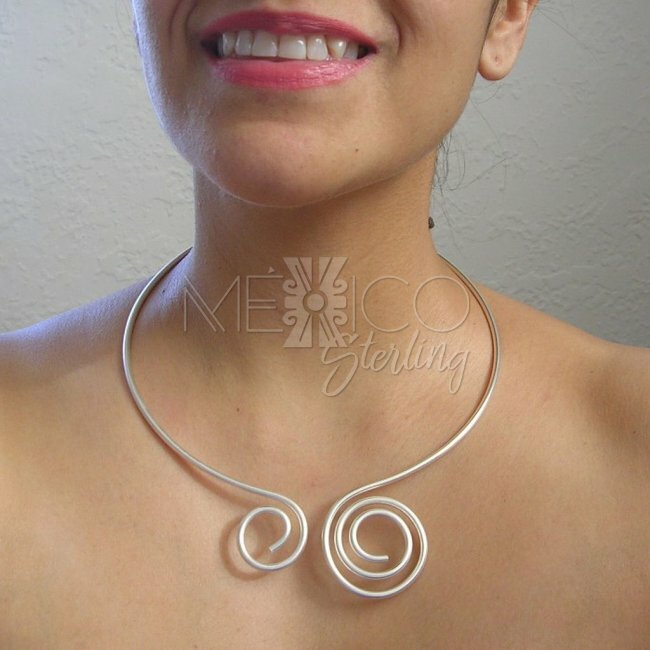 It also has a wide inside circumference and it can be worn by women with a thin neck or larger, either way, the look on the base of the neck is really nice.